Create a PDF report for any sent email campaign. You can also add your organization's logo to your report. Learn how to do both in this article. 2. Select Campaign Report from the dropdown. 3. Select the campaign you'd like to see the results for in section 2. 4. Enter a name for your file and finish customizing your report in section 3. 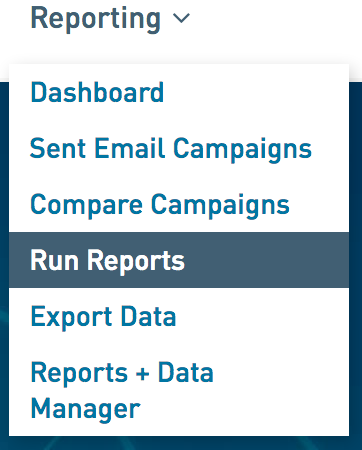 Then click Run Report. 5. 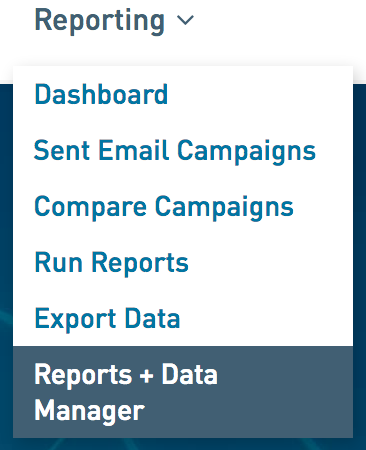 Download your Report in Reporting > Reports + Data Manager. (Optional) Add your organization's logo to your PDF. Upload your logo file under Account > Organization Info. 2. Select Organization Info from the left navigation. 3. Scroll down to Logo for reports. 4. Click choose, browse to and select your logo file. 6. Save your changes when done.